If you don't follow Google much, there is an Google's mobile payment app which is called Android Pay. But, the app only supports 14 countries excluding India. 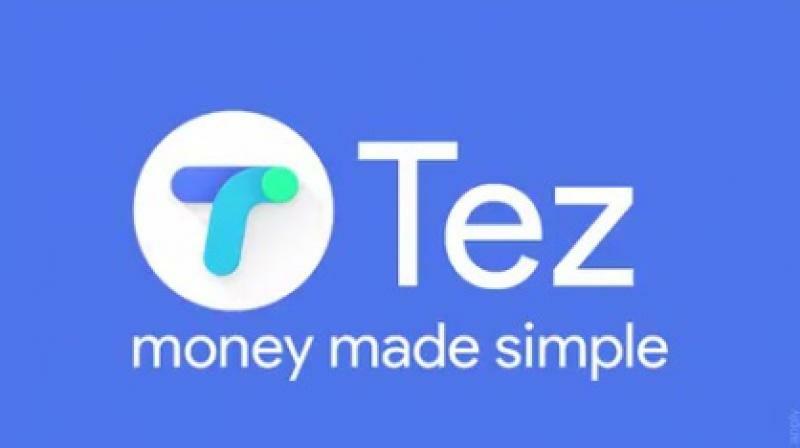 But today, Google launched a new app specially for India called Tez, which allows users to make payments, split bills and much more. Google has partnered with several popular services to boost its usage. Bus ticketing service RedBus, PVR Cinemas, Domino's Pizza, DishTV and Jet Airways are launch partners, it said on the website. 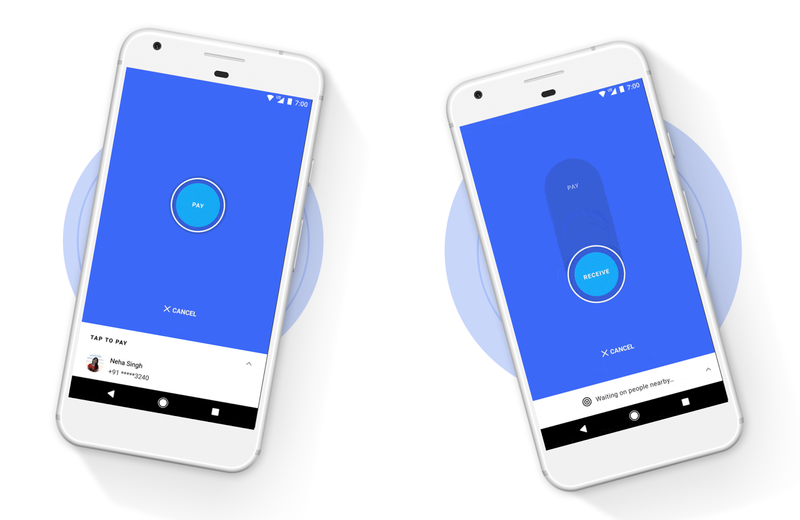 The company suggests users to have look out for Google Tez logo in their favourite services to see whether it is supported. 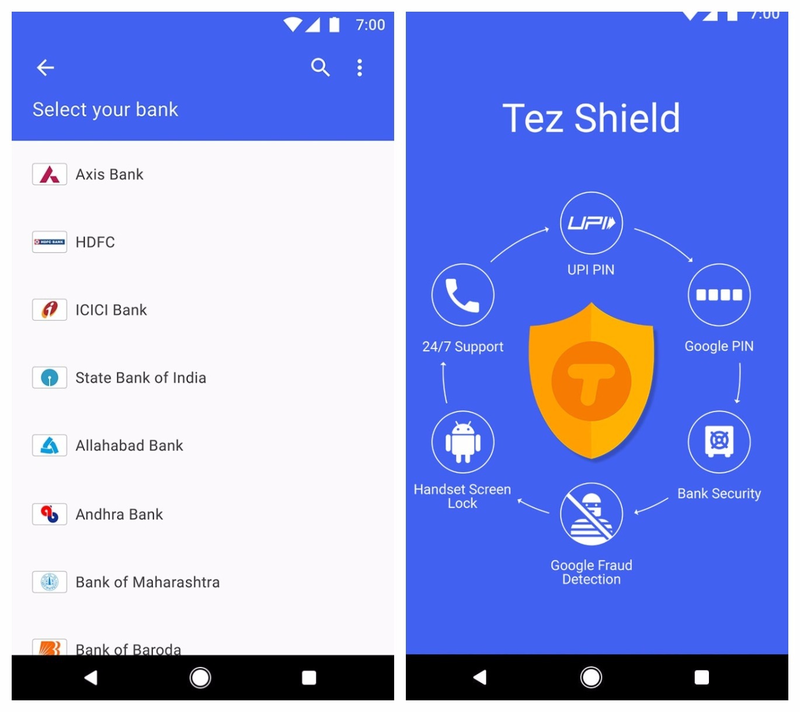 On the security front, all the transactions on Google Tez app are guarded by something called Tez Shield to "detect fraud, prevent hacking, and verify identity," the company says. "We built Tez to provide security throughout the payment process from customer to business and back." One thing the company has done is introduce an additional PIN layout to protect any unauthorised usage. On iOS, the app supports Touch ID. A company executive said it has taken measures to prevent any business partners from spamming their users. 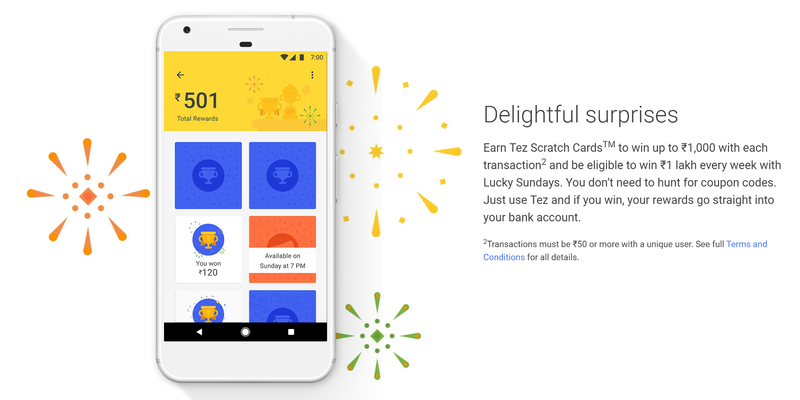 The company has also introduced "Tez Scratch Cards", and from the description it appears it will be offering customers deals and vouchers through this feature to attract them. For all transactions over Rs. 50, users will receive a scratch card -- vouchers with some rupees. You can earn and win up to ₹1,000 per week through. Plus, on "Lucky Sundays," you'll be able to win up to 1 lakh ( ₹100,000). Money transfers are limited to ₹1,00,000 per day through UPI apps and 20 transfers per day. With Tez, Google has become the latest international giant to enter India's increasingly growing digital payments market. Samsung in their respective services in the country this year. Amazon and Netflix are also planning to add UPI support to their respective services, people familiar with the matter said. Google Tez's biggest rival could be WhatsApp, which also plans to introduce support for UPI payments in its instant messaging app later this year, a person with directly knowledge of the matter said earlier. With over 200 million active users, WhatsApp is the most popular messaging app in India. Google's services including search, Maps and Android have tremendous reach in the country as well. Tez is currently exclusive to India, but more Asian countries like Indonesia and the Philippines should follow if the trademarks that Google's recently registered can be trusted. Language support is great, with English, Hindi, Bengali, Gujarati, Kannada, Marathi, Tamil, and Telugu all there. Google, in particular, has arguably done more for consumers in India than any other global technology company. From its focus on localised search features, to free Internet at public places, to make its services more appealing to the less-educated and privileged of the market, the company is increasingly pushing the reach of its services in the country. Also if you're a business owner who would like to integrate Tez into your company, you can visit Tez for Business here.